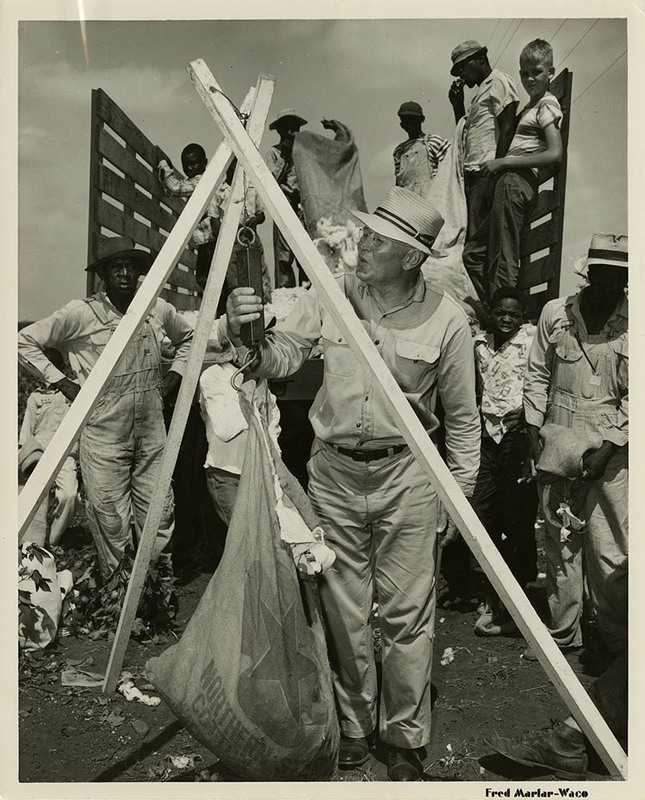 For nearly half a century, cotton reigned as king of Waco's economy, establishing the once small frontier town as a thriving urban center known throughout the country. The area later named Waco held a long history of agricultural pursuits tracing back to the Waco Indians' farming of crops such as melons, pumpkins, lima beans, and corn. Cotton farming and plantation culture arrived in Waco along with the first white settlers of McLennan County. 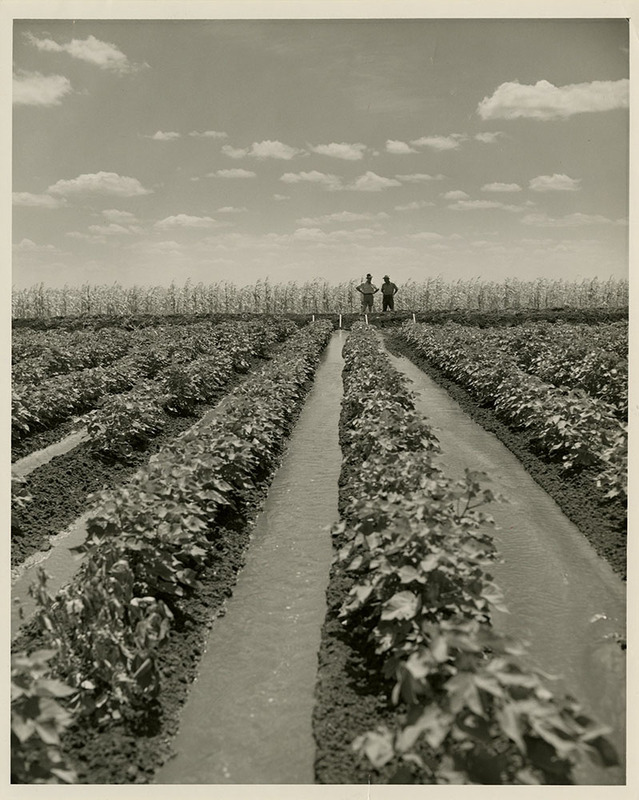 Initially hesitant to plant crops in the black soil found in Central Texas, these settlers soon found the alluvial soil of the Brazos Valley and blackland prairie ideal for growing cotton. Prior to the Civil War, cotton production in McLennan County remained relatively small. Without a means to transport the product with ease throughout the country, there was little reason to produce large amounts of cotton. Additionally, although farmers sought to recreate southern plantation life in Waco, legal restrictions placed on the number of slaves a landlord could bring into Texas prevented large-scale plantations from developing. Cotton production slowed with the dawn of the Civil War as most Wacoans, supporting secession, left to fight. The price of cotton fell and shipments to Europe stopped completely when the Union blocked established trade routes out of the South. 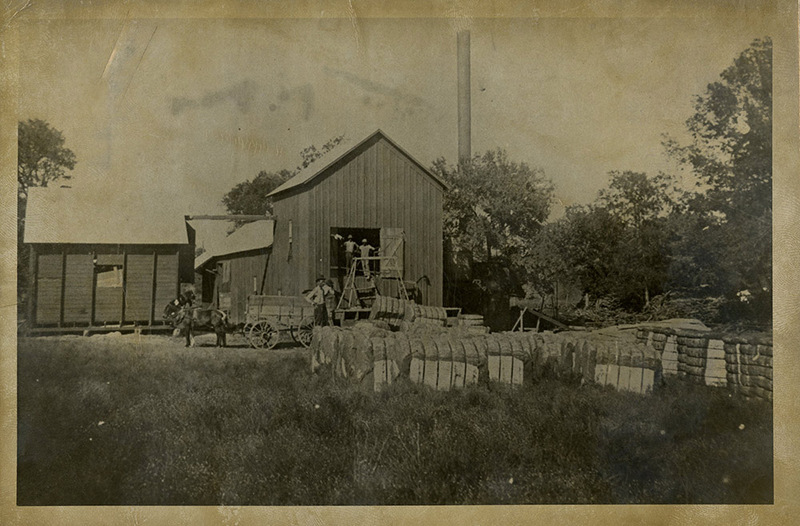 Yet this setback ultimately turned into Waco's first step toward industrialization when, during his search to secure passage for the crop, John Baylis Earle acquired equipment for a cotton mill in England, disassembled it, and smuggled it into Waco via Mexico. The new mill freed up considerable time for women who had previously spent hours sewing and spinning cotton. The defeat of the South in 1865 and subsequent emancipation of slaves completely restructured plantation life. 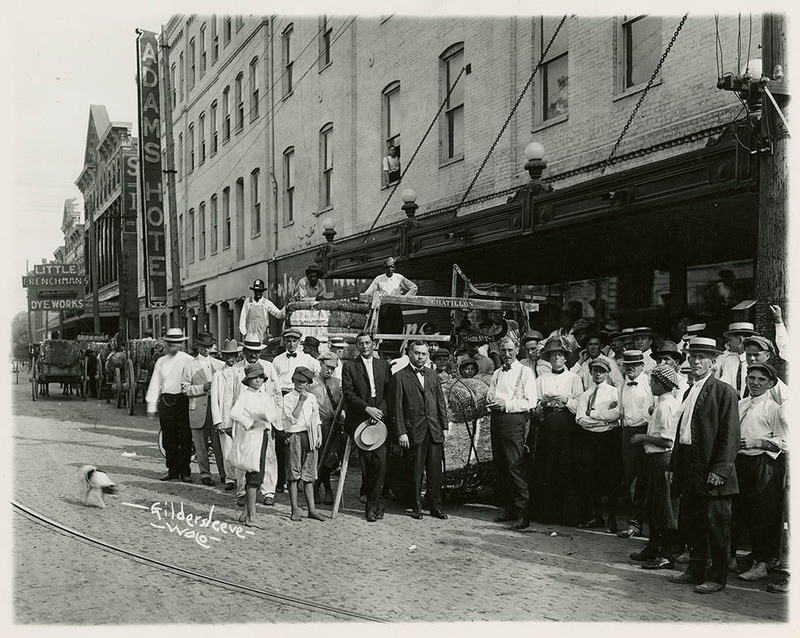 Although some freedmen left Waco, many remained in the area in altered relationships with their former owners. The large number of people desiring to farm a limited amount of land led to a new hierarchy. 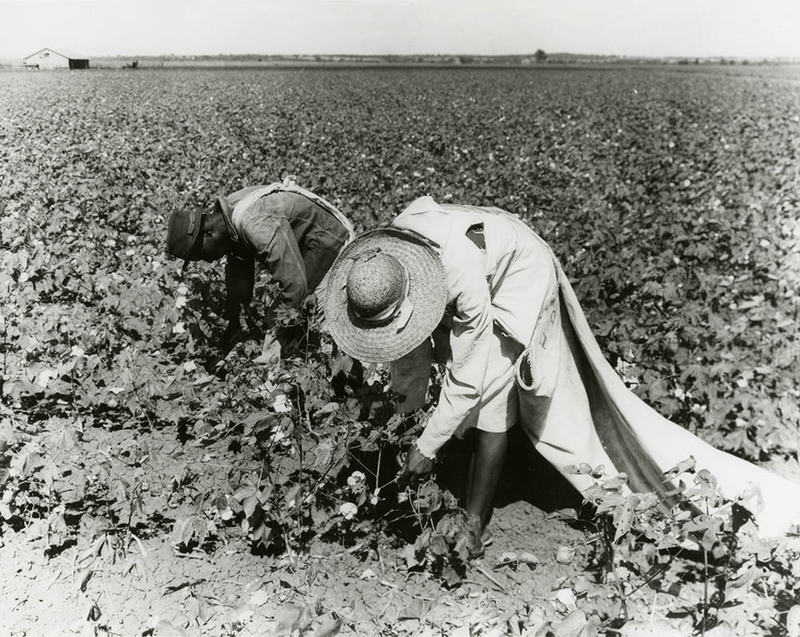 Unable to pay all of their former slaves a fair wage, landowners rented pieces of land to tenants and sharecroppers in exchange for a portion of the crop and profit at the end of the growing season. 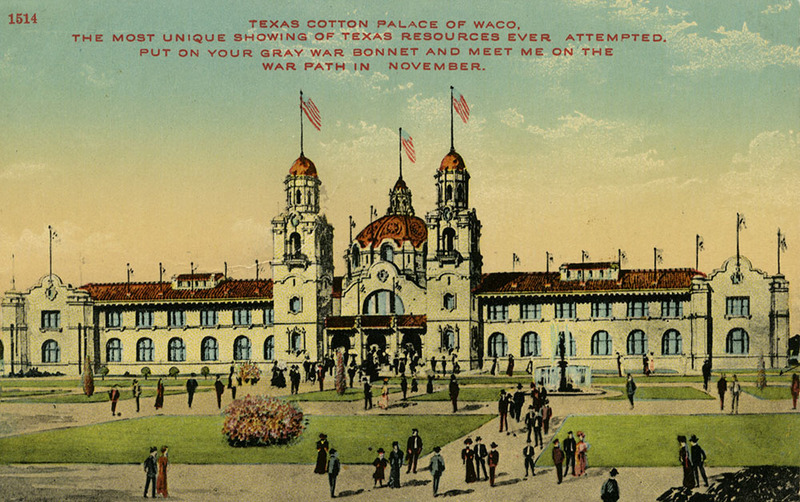 The cotton industry industrialized and grew considerably in Waco during this period immediately following the Civil War. 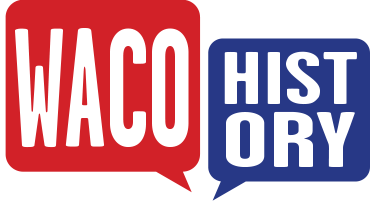 The construction of the Waco Suspension Bridge and arrival of the Waco Tap Railroad in 1870 increased the number of people and goods entering and departing the city. 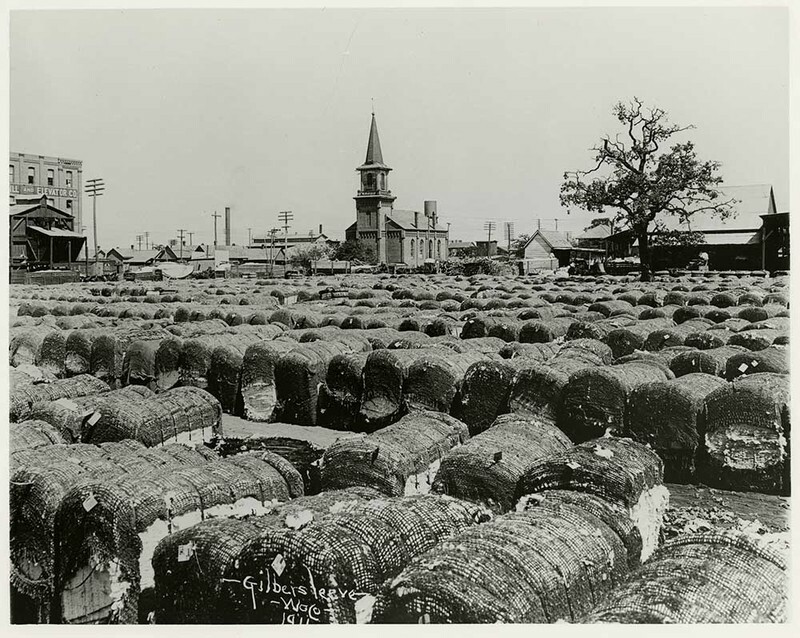 Waco's cotton market boomed, and by 1885, the city became known as the largest inland cotton market in Texas. When a second railroad connection arrived, it was named the Cotton Belt Route in honor of the large market to which it primarily catered. Life in Waco came to revolve around the crop which had earned the town the name of King Cotton. Bankers loaned money against cotton crops, and the city economy boomed along with farmers' prosperity. Brokers from other states and nations opened offices in the city. 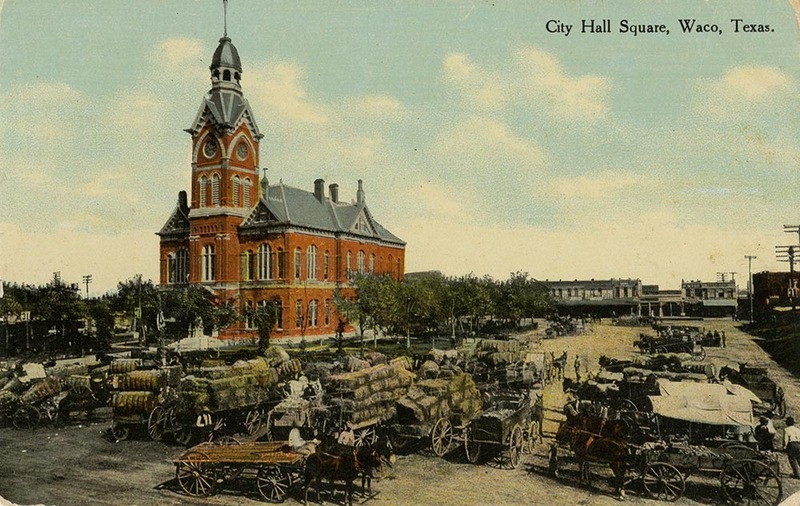 Each fall, farmers from the surrounding counties arrived in the town square at daybreak to display bales for classification and sale. In 1894, the city instituted the grand annual festival named the Cotton Palace Exposition in order to honor and celebrate the central role of the crop in the local economy. By the turn of the twentieth century, however, the cotton industry reached its peak and was already beginning a steady decline, largely due to the diversification of agriculture as well as the depletion of soil nutrients. 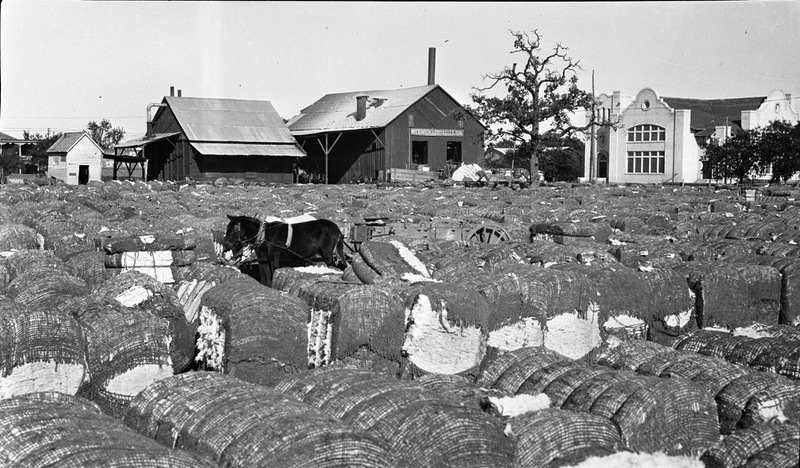 Although no longer the enormous market force it once represented, cotton continued to play an important role in Waco's economy throughout the twentieth century, with small numbers of farmers growing cotton and local merchants continuing to offer rewards for the first bale of cotton each season. Today, small cotton farms can be seen in the countryside surrounding the city, and the legacy of the crop which once made Waco a center of the South is visible in landmarks around town such as Cottonland Castle, the silos of the old cotton oil mill, and the site of the Texas Cotton Palace. 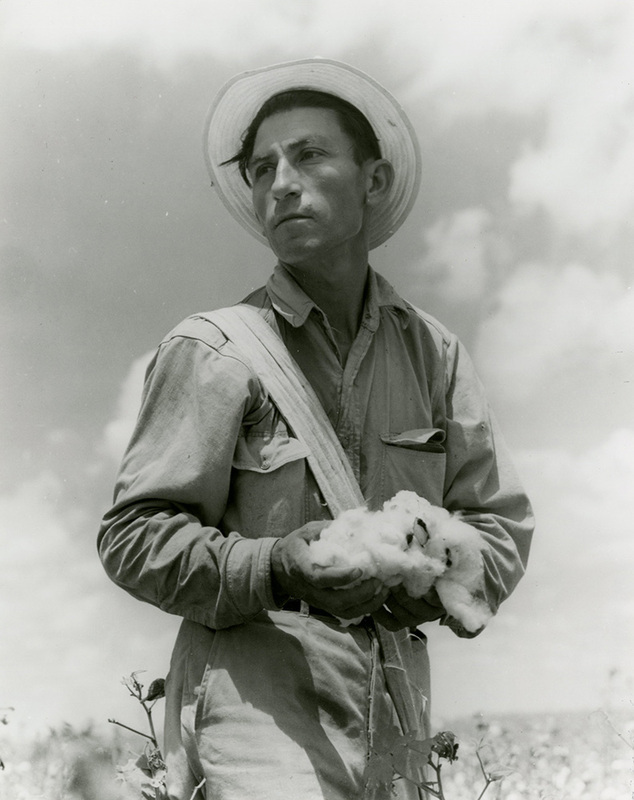 Amanda Sawyer, “Cotton,” Waco History, accessed April 18, 2019, https://wacohistory.org/items/show/119. Ames, Eric S. Waco. Charleston: Arcadia Publishing, 2009. Gateway to Texas History. “When Cotton Was King: From Waco Village to the Texas Cotton Palace.” Waco City Cable Channel video. May 20, 2013.